I am my beloved's, and my beloved is mine (Song of Solomon 6:3). 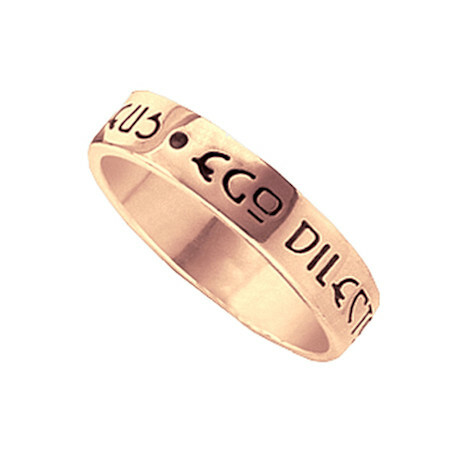 Engraved in Latin (Ego dilecto meo et dilectus meus) around a simple band of 14k gold or sterling silver, these ancient words proclaim your devotion. Whole sizes 5-12. Story card included. 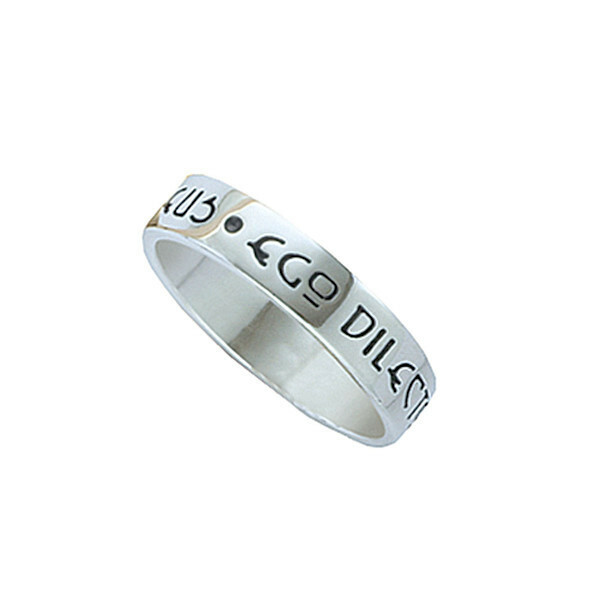 English version Women's sizes (5-8) engraved with "My Beloved Is Mine And I Am His". Men's sizes (9-12) engraved with "My Beloved Is Mine And I Am Hers". Please allow 3-4 weeks for delivery. Item can only be shipped within the Continental US.